DOCTOR WHO Historicals - THE KING'S DEMONS | Warped Factor - Words in the Key of Geek. 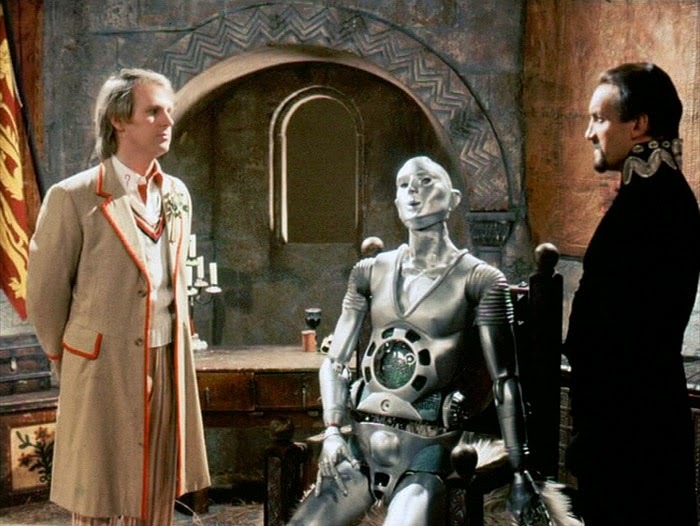 Christopher Morley plays with madness, and rifts on the Fifth Doctor historical encounter with The King's Demons. The King's Demons served as a triumphant return for two main reasons- the Master was back, & the 'pure historical' format made a comeback, of sorts, for the first time since The Highlanders! But just which royal from the annals of yesteryear was the Fifth Doctor off to meet? King John would have that pleasure- you might remember him as the one who signed the Magna Carta ( or ' Great Charter' for those without at least a working knowledge of Latin). Proving the general rule that the rich get richer off the backs of the moderately wealthy & poor, Johnny's first seen trying to get a higher tax sum from Sir Ranulf Fitzwilliam. He's a knight who's given rather a lot to support the King & by extension the Crusades- in fact on this very day ( March 4, 1215) history records that the man with the crown should be in London taking the Crusader's Oath as he prepared to set off on the Fifth Crusade! Not that one, though! 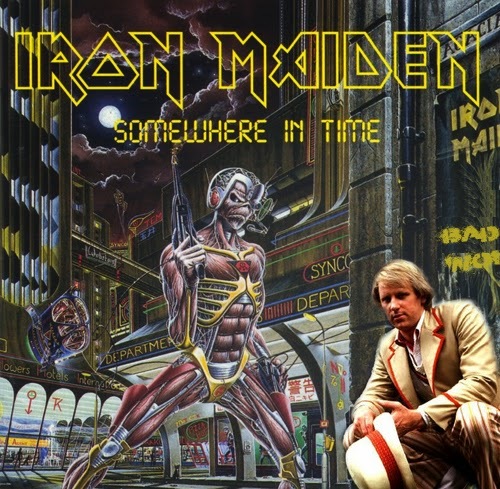 In case you're unaware, in this case an iron maiden is actually a torture device dating back from around 1793. A rather nasty creation, its a cabinet big enough to house an unfortunate prisoner, covered in spikes on the inside. You can guess what happened to anyone who stayed in one too long! Unless you're Steve Harris, in which case you got the inspiration to form a popular heavy metal band. But the Doctor & chums can't sit around savouring the likes of Prowler & Remember Tomorrow for too long. They've a dastardly scheme to uncover! 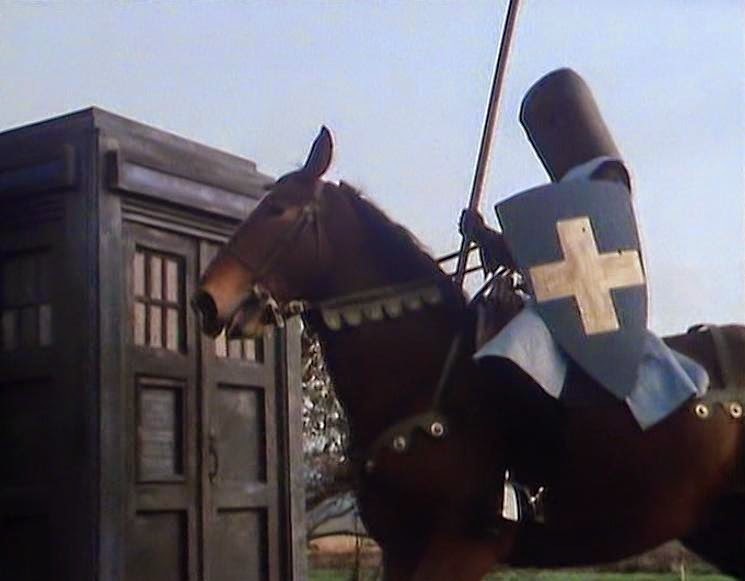 Not before the Time Lord might have to consider trading in his cricket gear for some more knightly attire though. After all ' Sir Giles' has seemingly bravely run away, away- so the 'King' needs a new champion. One of the privileges of the position is free run of the castle though, which might come in handy sooner or later. 'Hang on a minute', you'd be forgiven for thinking. ' That sounds nothing like Running Free!' But while the King may not yet have grasped the basics of heavy metal, he is at least actually metal. 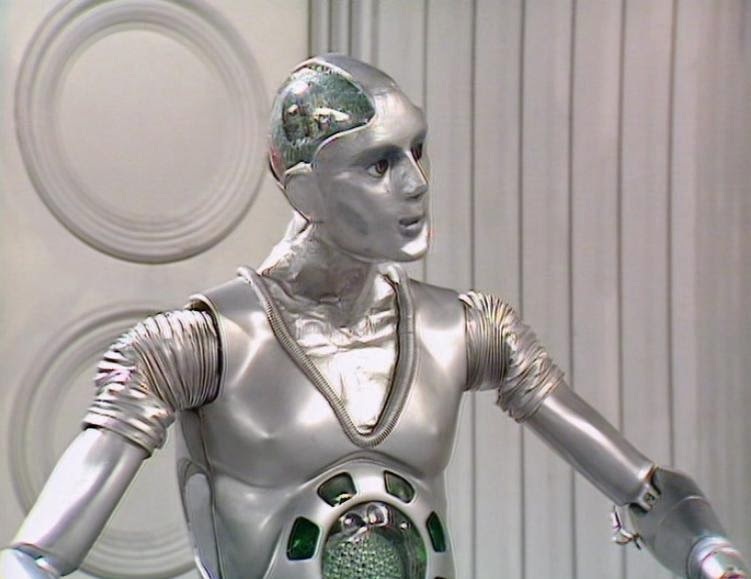 For in reality he's Kamelion, a sentient robot capable of impersonating anyone a stronger mind that its own wishes it to. Having escaped Xeriphas with the handy cybernetic impressionist ( surely a candidate for a most interesting unseen Masterly adventure ripe for novelisation by any keen writers?) the Master now intends to use it to avert the Magna Carta & thus the foundation of Parliamentary democracy by having ' King John' alienate his people & provoke a rebellion with the aim of removing the real John from power. Got that? But the solution is simple- a battle of wills for control of Kamelion! 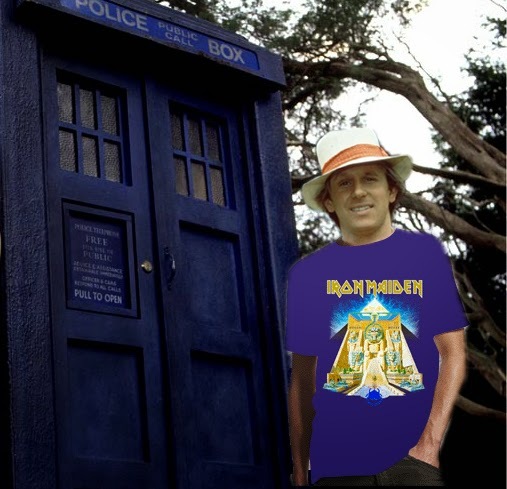 Of course Five wins, & takes the metal man aboard the TARDIS as a new companion with pleasure. Maybe he misses the days when he used to have a certain 'tin dog' at his side & simply craves something similar if not as good at chess? The second chessboard battle of wits between the Doctor & his metallic mutt occurs in The Androids Of Tara ( the dog having been programmed with the results of every big championship game since 1866), with the Doctor reminiscing over that time he saw Alekhine beat Capablanca to become World Chess Champion back in 1927. In the process he gave his name to Alekhine's Defence- whether you're an amateur or seasoned player the basics can be explored here. Unless of course past or future selves were present at the aforementioned conflicts? Definitely one to ponder, as the battle for control of the Holy Land was no mere domestic dispute. Thousands signed up to be purged of all past sin in exchange for military service in God's name- for more you can see Thomas Asbridge's series Crusades-HolyWar. For God & The Doctor!